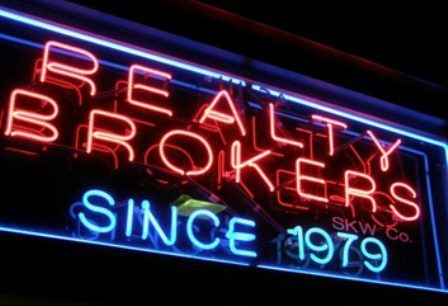 Is A Fixed-Rate or Adjustable-Rate Loan Your Best Knock Out? Which type of homeowner are you? Do you prefer the stability of knowing exactly what your mortgage interest rate will be month after month until you pay off your mortgage loan, refinance it, or sell your home? Or will you bet that a lower interest rate today will give you enough monthly savings to outweigh the possibility of a higher – perhaps much higher – interest rate in the future? Your answer largely determines whether a fixed-rate mortgage loan or an adjustable-rate version is the best choice for you. First, let’s look at the more traditional. The fixed-rate mortgage loan. In this loan, the interest rate you sign up for when you close your mortgage loan is the one you’ll have throughout its life, unless you refinance. That’s where the “fixed” part of this loan comes in. Payment stability: Because your interest rate doesn’t change, your monthly mortgage payment remains fairly constant. This doesn’t mean that your payment will never change. If your property taxes or homeowners insurance rates rise, your monthly payment could, too. But in general, fixed-rate mortgages boast more constant payments. Budgeting is easier: Fixed-rate mortgages, then, make it easier to set a fixed household budget. Your monthly mortgage cost is less likely to vary with a fixed-rate loan, making it easier to track your monthly expenses. More expense: The interest rate on a fixed-rate loan tends to be higher than those for an adjustable-rate loans – at least during that period before an adjustable-rate loan adjusts. Thus fixed-rates often result in higher initial monthly payments. Now let’s look at the slightly more complicated, but perhaps more affordable option: The adjustable-rate mortgage. 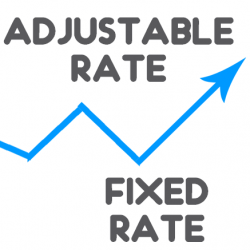 In an adjustable-rate loan, you’ll generally get an interest rate that is lower than the average for a set period of time, say one to seven years. After this set period ends, your interest rate will adjust. What the rate adjusts to depends on what index rate your loan is tied to. Some might adjust according to the interest rate attached to the US Treasury funds. More affordable initially: The main draw of an adjustable-rate loan is that lower initial interest rate. This rate might be nearly a full percentage point lower than the standard rates connected to a 30-year fixed-rate mortgage loan. The lower payment allows you to afford a higher priced home. A big shock later on? The adjustment period can be tough. Your interest rate, depending on any caps that were included when you first closed your loan, could jump over time, say, from 3% to 6% or higher depending on the state of the economy when your loan is ready to adjust. A big upward swing could result in a hefty increase in your monthly payment.